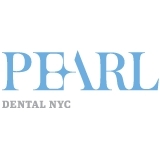 Pearl Dental NYC (New York) - Book Appointment Online! It is more than our excellent clinical skills and state of the art technology. It is about establishing relationships between doctors and staff with our patients based upon trust and communication. We pride ourselves on educating you about preventive health as well as correctly diagnose and treat Dental disease. I'm extremely dental-phobic and Dr Razz was so gentle and patient. Not pushy AT ALL! We're going to move forward at my own pace and I couldn't feel more confident that I'm good hands. Dr. Valentina was very friendly and professional! She was fast, thorough and straightforward. She took the time to answer my questions and explain things to me throughout my appointment. I feel very fortunate to have found Dr. Paik, a phenomenal dentist whose skill and attentiveness I am greatly appreciative of. Having experienced a great deal of anxiety with dentists in the past, I found myself completely at ease in her chair, as she took the time to explain to me my options, educating me. The office is magnificent, the staff charming and professional.There was no wait time at all. The technology with which Dr. Paik examined my teeth was state of the art. The entire time I felt comfortable, relaxed, at ease. At last I have a dentist in whom I am completely confident.